With the highest total driving range and the shortest charging time, the 2018 Toyota Prius Prime is the most advanced Toyota hybrid ever built. Available soon from Ken Shaw Toyota! 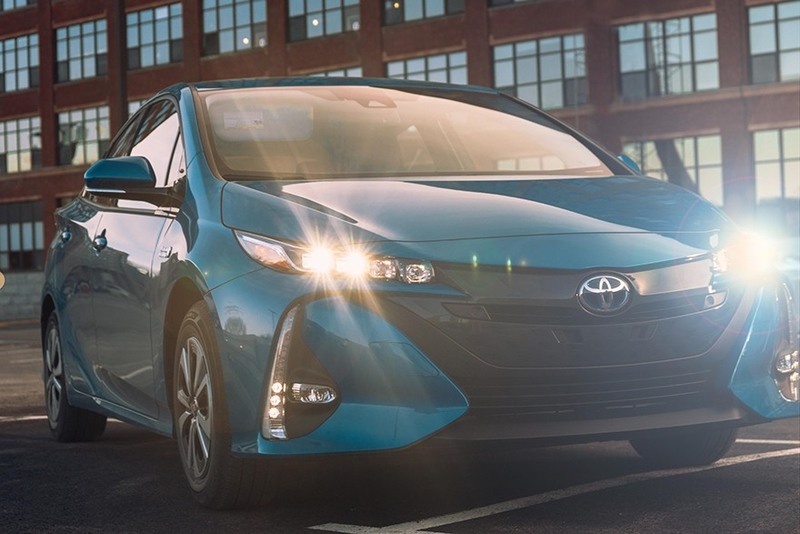 Prius Prime has all of Toyota's latest hybrid technology. Sustainability has never looked this stylish. Constructed under the Toyota New Global Architecture philosophy, Prius is built to: handle better, ride smoother, and go further than any Prius before it. With Prius Prime’s plug-in hybrid technology, you can commute up to 40km, strictly on electric power. Intelligently built on the outside too, Prius Prime’s aerodynamically angular lines and features like the dual wave rear glass make for better fuel efficiency, a coefficient of drag of 0.25, and a smoother drive on the open road. Prius Prime’s new Hybrid Synergy Drive powertrain, combining a powerful electric motor with a 1.8L Atkinson cycle engine is engineered to provide improved acceleration and dynamic responsiveness. Available on the technology package, an 11.6-Inch Display Audio screen lets you plan out your route with navigation, your playlist - on the premium JBL audio system, and many other functions that put control at your fingertips. Refinements in safety, innovations in technology, and a whole new philosophy that champions great design with an even better driving experience. That's the future of Toyota. 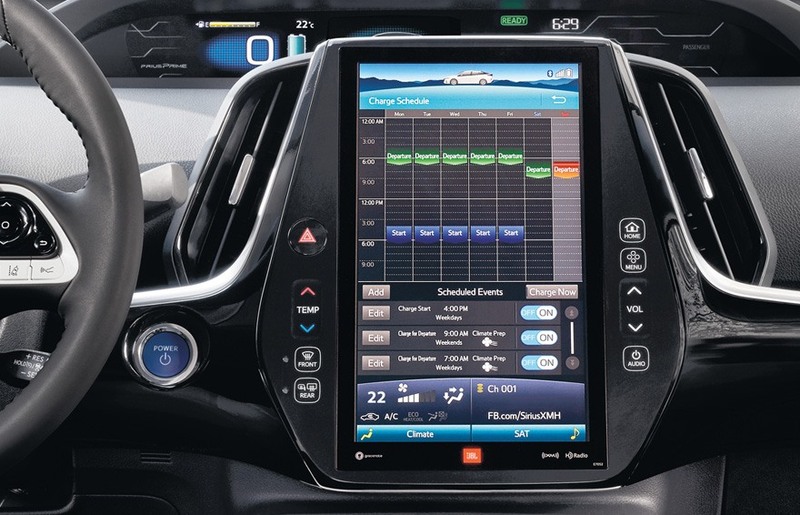 Toyota Safety Sense P: Because we all deserve to arrive safely, Prius Prime is equipped with Toyota Safety Sense P, our most advanced suite of safety technology, including Pre-Collision System with Pedestrian Detection, Lane Departure Alert with Steering Assist, Automatic High Beams, and Dynamic Radar Cruise Control. Cutting edge technology can be a little intimidating sometimes. 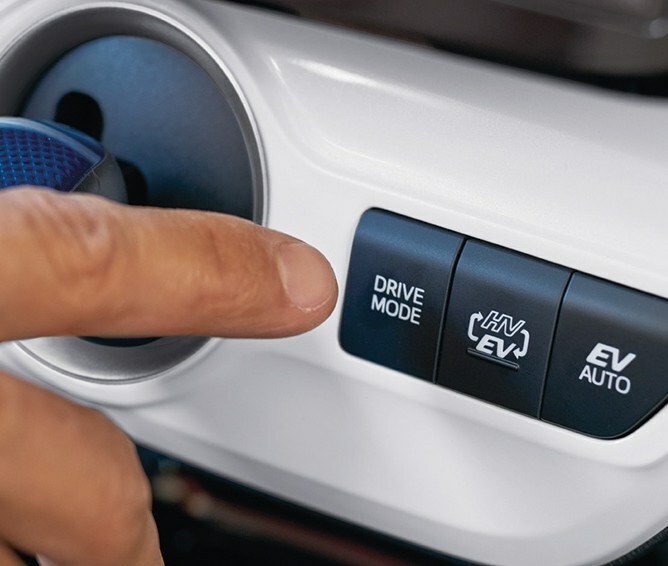 Don't worry, Prius Prime will teach you how to get the most out of your vehicle by giving tips on the best braking and acceleration techniques to conserve and redistribute energy to the car. It will even learn your driving patterns over time and guide you accordingly. You’ve always known Toyota to be about quality. Well quality has never looked better. 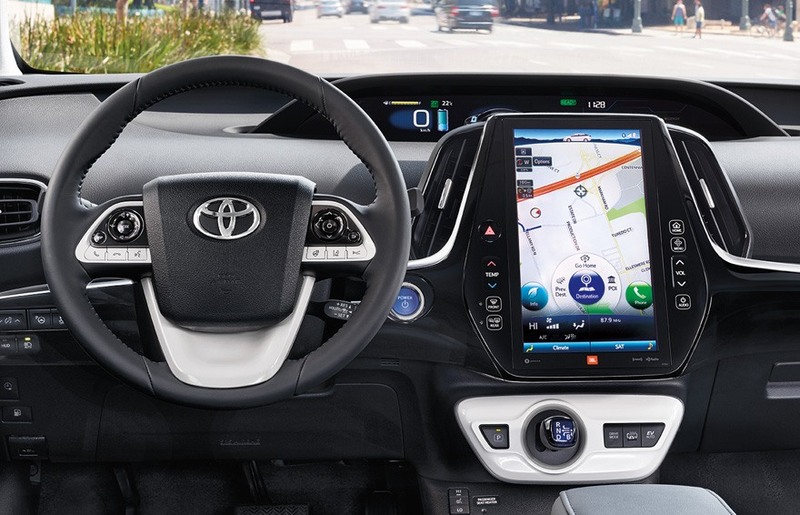 TNGA is a new approach to design for Toyota, and Prius Prime is built with with a lower centre of gravity, lighter-weight materials, and superior handling to its predecessor.